In this role, Michael will lead the Petro Guardian Inspection Program, which aims to maintain the integrity of installed systems and helps customers mitigate risk associated with lightning and static discharge. 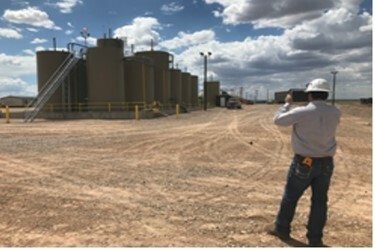 Lacombe, LA (PRWEB) - Petro Guardian, a leader in lightning and static protection for upstream oilfield assets, is expanding their inspection services program. The annual inspection service is performed to maintain the integrity of the protection systems installed. Michael Leblanc has been promoted to Chief Compliance Executive. In this role, Michael will lead a team of inspectors and manage the scheduling and execution of the Petro Guardian Inspection Program. Petro Guardian offers inspection services for any installed lighting and static protection system on oil production and salt water disposal facilities. For more information contact sales(at)petroguardian.com, call Petro Guardian at 985-882-2985, or schedule an inspection online. Petro Guardian offers turnkey lightning and static protection installation with system inspection, repair and maintenance services to many of the largest and most productive oil and gas producers in the United States. Our engineered protection plan has successfully shielded over 32,000 tanks from the dangers of lightning & static discharge. Please read about the Petro Guardian Facility Protection Plan. For media inquiries, contact Ben West at bwest(at)petroguardian.com.